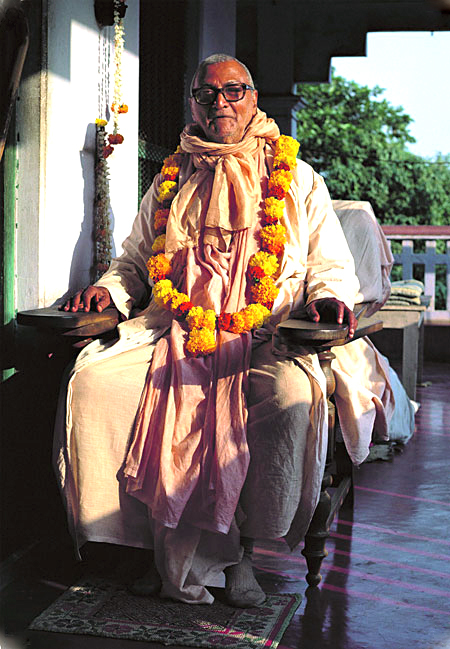 In the Gaudiya Tradition, invoking the Divine through the repetition of sacred mantra is central to our spiritual practice (Sadhana). The chanting of the Hare Krishna Maha-mantra both as an individual meditation and in congregation, forms the substance of the universal religion for the present age. As the mantra in its purest form is non-different with Krishna Himself, the chanter is able to achieve direct communion with the Divinity by the practice of this chanting. There are also no hard and fast rules for chanting the Hare Krishna Maha-mantra concerning time, place or circumstance. Anyone can chant at any time, in any place and in any circumstance. The only qualification required for chanting the Holy Name is sincerity of heart. As a daily individual practice of meditation it is good to set some personal time aside for chanting and to make a space dedicated for this purpose. Early morning is the best time for spiritual practice and one should try to keep one’s mind clear of any other thing. Repeat this mantra clearly again and again, meditating on the sound of the mantra. Just chanting and hearing the vibration of the mantra is all that is required. It is not necessary to think of the meaning of the words or to imagine the form of Krishna, but only to hear the sacred syllables of the mantra as you chant. 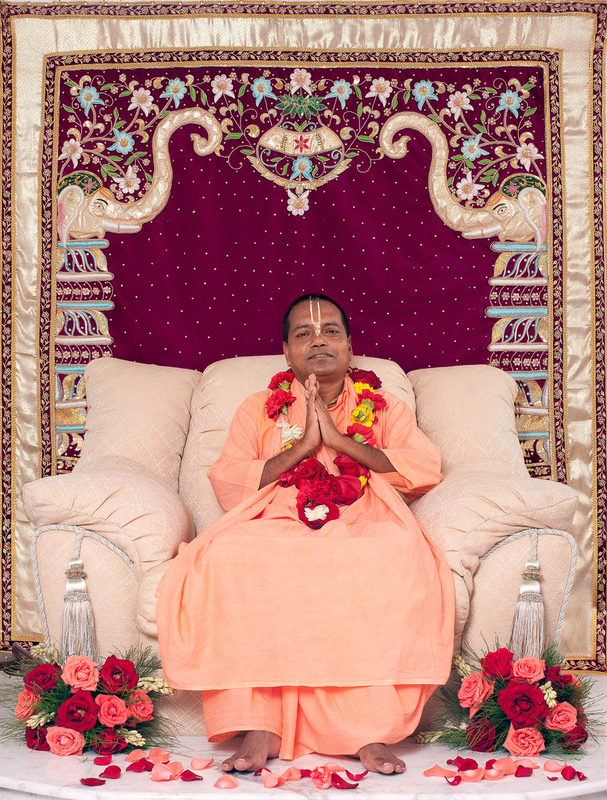 Our internal prayer while chanting should be, “O Holy Name please reveal Yourself within my heart and dance upon my tongue.” You will feel the purifying effect of the chanting very soon and will want to chant more and more. To be completely vegetarian, strictly avoiding all flesh foods, fish and eggs. 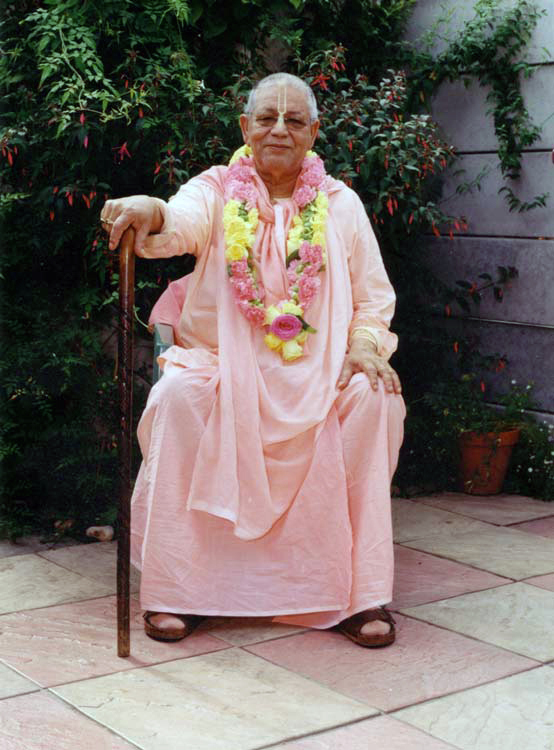 For complete success in the chanting of the Holy Name it is important to receive the mantra from the proper source through the process of initiation (diksa). The Spiritual Master accepts the aspirant as a disciple and confers the Holy Name upon the sincere chanter. The chanter in turn vows to live a holy life and chant the mantra a minimum fixed number of times every day on the sacred Tulasi rosary according to the direction of the Spiritual Master. This is known as Sadhana-Bhakti.